The ageing process on the face is multifactorial and leads to damage to the dermis and epidermis; with decreased collagen, elastin, skin thickness, fatty layers, number of cells and extra cellular matrix. This, in turn, leads to changes in skin texture, firmness, radiance, volume, flexibility, and, ultimately, to the appearance of wrinkles. But the ageing process is more than this — it is a complex interaction between varieties of facial elements, which occurs like a domino effect, and it happens in four main facial layers: skin, fat, muscles, and bones. As the amount of fat in the face decreases with age, it causes a deflated effect, which leads to volume loss, and the hydrating and elastic functions of the skin no longer work as efficiently. The fibroblasts producing elastin, collagen and hyaluronic acid work better when they are under a degree of stretch. When the fat depletes, this stretch is decreased and the skin sags. On the muscle front, it will be noted as part of the ageing process that some muscles get looser while other get tighter. The bony facial skeleton changes — mainly the facial apertures. The nose and the eye sockets increase in size with age and the infra-orbital region physically moves backwards, so the holes are not only bigger but are also pushed back. The presence of hyaluronic acid (HA) in the skin declines over the years, resulting in a loss of moisture, elasticity, firmness and volume. Our bodies are in a continual state of rebuilding, for example, new skin cells replace old ones about every 20 to 30 days. Normally, hyaluronic acid in skin tissue is broken down by hyaluronidase, and the rate of degradation can be increased by excess intake of riboflavin (B2), ultraviolet radiation exposure or viruses. Signs of natural skin ageing become apparent with wrinkles, loss of volume in the cheeks and thinning lips. Hyaluronic acid is a polysaccharide composed of alternating molecules of N-acetyl glucosamine and D-glucuronic acid. It is present in almost every cell in the human body but a large proportion is concentrated within the skin. In the extracellular matrix, hyaluronic acid performs a range of biological functions but mainly it regulates moisture, increases fibroblast activity, and stimulates collagen synthesis. When a patient is injected with hyaluronic acid, the injector recreates volume, and by creating more tension more hydration is achieved. Unfortunately, the effects are temporary, short lasting and HA does not recreate what is continuously disappearing. The ageing phenomenon of the face is not limited to collagen and fibroblasts but also to bone loss on which HA does not have any effect. Platelet rich plasma (PRP) is not a volumetric filler, but a biological cell therapy using the patient’s own platelets and enriched plasma. PRP enhances cell proliferation over the short term and induces cell differentiation of fibroblast-like cells to myofibroblast-like cells over the long term, suggesting that fibroblast differentiation to myofibroblasts may underlie the action mechanism of PRP in soft tissue regeneration. PRP also stimulates the osteoblasts, therefore, having a positive effect on the bone resorption. Moreover, the different growth factors will also generate a transitory neo-vascularisation1. PRP is defined as a high concentration of the patient’s blood platelets in a small volume of plasma. Platelets contain a variety of small molecules also known as growth factors or cytokines that interact with local cells and even send signals that initiate a variety of important events, such as cell division and migration. Stimulates proliferation and differentiation of epidermis cells, co-stimulating angiogenesis. The publication by Liu et al., found low pH and low oxygen levels stimulate fibroblast proliferation in the injury site. 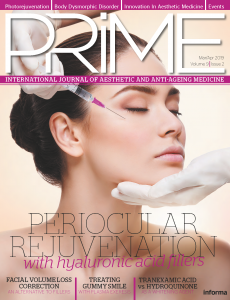 This study validates the concept of mixing PRP and hyaluronic acid2. As most aesthetic practitioners are aware, injecting HA into the skin stimulates the restoration of the dermis by increasing the amount of collagen (through fibroblast stimulation) in the skin, which promotes improved water retention to volumise the skin at various levels. 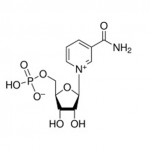 HA is made up of repeating disaccharide units and is part of the family of glycosaminoglycan. HA also directly attracts water into the skin to further increase skin turgor and hydration. This reduces the visible signs of ageing, such as fine lines and loose skin. 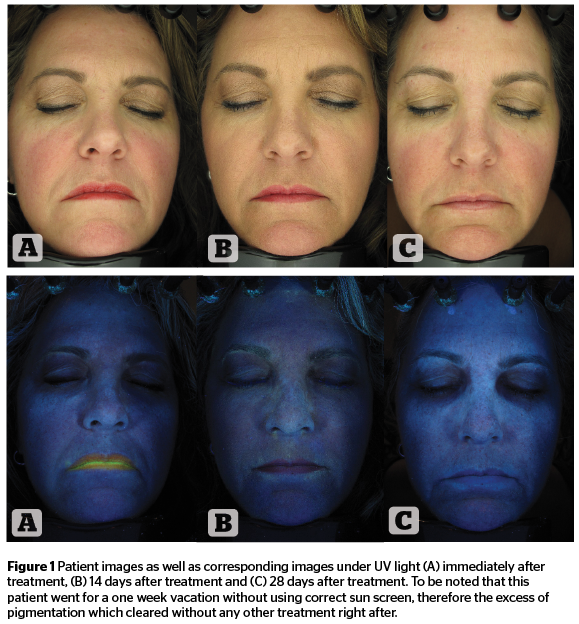 A study by Ulusal published in the Journal of Cosmetic Dermatology in 2016 treated a group of 94 female patients with varying degrees of facial ageing with PRP and HA. Platelet-poor and platelet-rich plasma parts were mixed with hyaluronic acid and injected into the deep dermis and hypodermis. Patients were asked to rate their personal satisfaction with their skin texture, pigmentation, and sagging. In addition, the overall results were rated by three independent physicians and the patients themselves. The outcomes were peer-reviewed and correlations between the degree of the aesthetic scores and the number of injections were explored3. Compared to the baseline, the PRP and HA injections provided clinically visible and statistically significant improvement to facial skin3. There is also another factor to take into consideration: the accumulation of free radicals, which will result in deterioration in the colour and texture of facial skin, causing premature ageing by damaging the cells and their DNA. While the use of HA alone may not reduce many of the effects of ageing, sodium succinate can provide an antioxidant effect by actively blocking free radicals and stimulating sluggish metabolic processes in the skin, therefore aiming to reduce the signs of ageing. It has been suggested in an in vitro trial, that when combined, HA and sodium succinate act synergistically to stimulate fibroblast cells to increase (in both number and metabolic activity) with greater effect when compared to HA mono-component therapy. The effect on the metabolic processes can include strengthening cellular respiration, normalising ion transport, increasing protein synthesis, and increasing energy production, through the stimulation of the Krebs cycle in mitochondria. The Krebs cycle is essential for cellular respiration; taking place in the mitochondria, the cycle converts pyruvate (from glycolysis) to produce nicotinamide adenine dinucleotide (NADH) and adenosine triphosphate (ATP) through a number of reactions and intermediate molecules — succinate is one such molecule forming the complete chain in the cycle. This should then translate to the restoration of cells, an increase in skin elasticity, firmness and tightness, improved colour and texture, as well as a reduction in the signs of ageing and fatigue. A group of 14 patients were recruited and treated on the right side of the face with 5 ml of PRP and on the left side with PRP (3 ml) plus a non-cross linked hyaluronic acid combined with succinic acid (Xela Rederm, Institute Hyalual) 1.1% (2 ml) mixed together via a two-way connector. Finally, the remaining product(s) was rubbed into the skin through the micro injection points using the glove (not gauze). The entire group was evaluated before treatment, two weeks after treatment, then again four weeks after treatment. The patients were female, aged 35 to 65, not pregnant, not breastfeeding and not undergoing any other treatment for skin pigmentation or skin improvement during the time of the study. Accumulation of free radicals: the antioxidant effect of the combination aims to counteract the free radical accumulation and protect the cells from damage by the free radicals. As PRP is an autologous product, there is no risk of allergy, lumps, granuloma or asymmetrical results. Moreover, PRP is also bactericidal, which decreases all risk of infection. As with any injectable product, extra care should be taken with any patient taking chronic medications that might increase the tendency to bleed or bruise including omega-3, evening primrose oil, and aspirin. 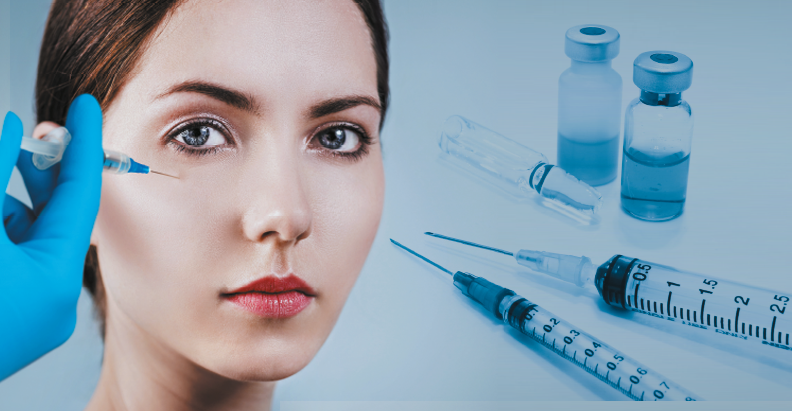 Patients with known sensitivity or allergy to HA or succinic acid should be tested before using the product and general precautions should be taken, as one would with any injectable HA containing product. On the subjective patient appreciation, when asked (in private) to note their skin condition and improvement or not, all 14 patients gave a firm positive answer, noting the amelioration of their skin one week after the treatment (on a scale from 0 to 10, they all graded the treatment at 8), and some also mentioned receiving favourable comments from friends or family. Regarding the pictures taken, it was noted a clear diminution of the pigmentation, a fuller face aspect, and a definite healthier look. 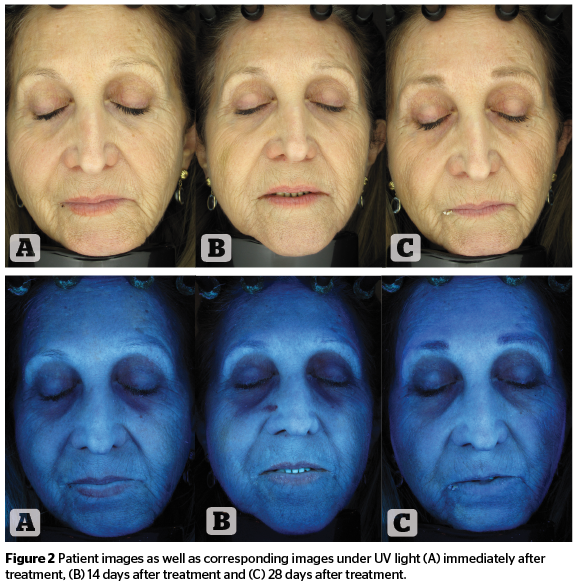 Under UV light, the pigmentation improvement was even clearer to observe. The first conclusion of the study is that PRP alone, when injected correctly (deep/medium deep/sub‑dermal) does objectively improve the skin on all parameters (elasticity, hydration, pigmentation and erythema). The second positive point is that it works much faster than what was previously thought: starting one week after treatment and keeps improving during the whole month and after. The third conclusion is that the addition of HA and succinic acid to the PRP generates an even greater improvement and therefore validates the concept of combining them together. All patients’ photos and individual measurements are on file. The treatments were well tolerated and no side effects were reported. All patients completed the trial. The addition of succinic acid to an HA mixed with total plasma delivers a new and useful treatment against the signs of the ageing face. Patients in clinical practice are usually treated with a range of products and treatments to provide synergistic effects. 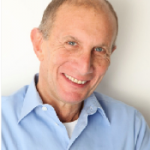 The author believes that even though the cohort was small (14) the 100% success rate (without any side effect) validates the concept and, therefore, mixing PRP with Xela Rederm enhanced results while minimising the numbers of injections needed. Did you used Restylane Vital skin booster in this study?